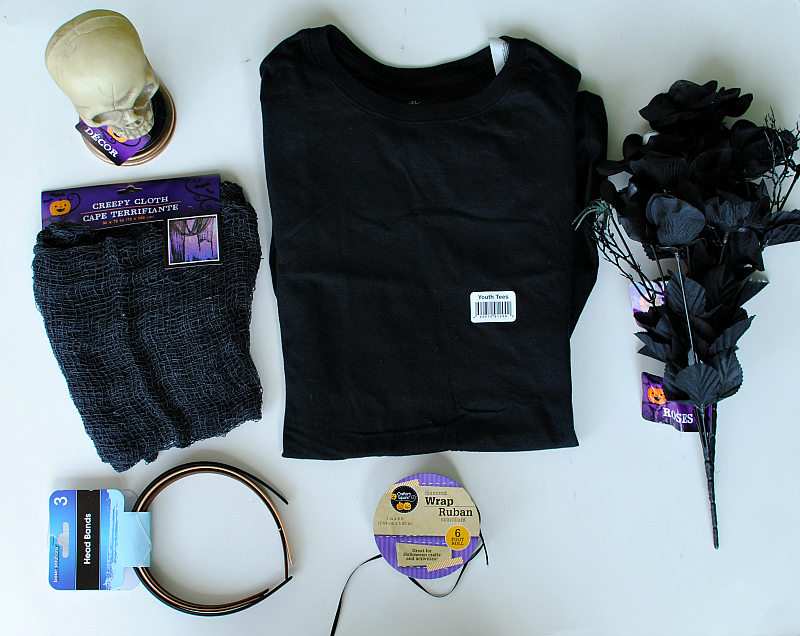 I’m kicking off October (my favorite month) with the Dollar Tree to share this DIY Halloween series. Each costume is made using supplies from their stores. The catch? All the supplies have to be under 7 items (7$). We also made sure the projects were under 1 hour. For this first one I was inspired by their Halloween Decor. 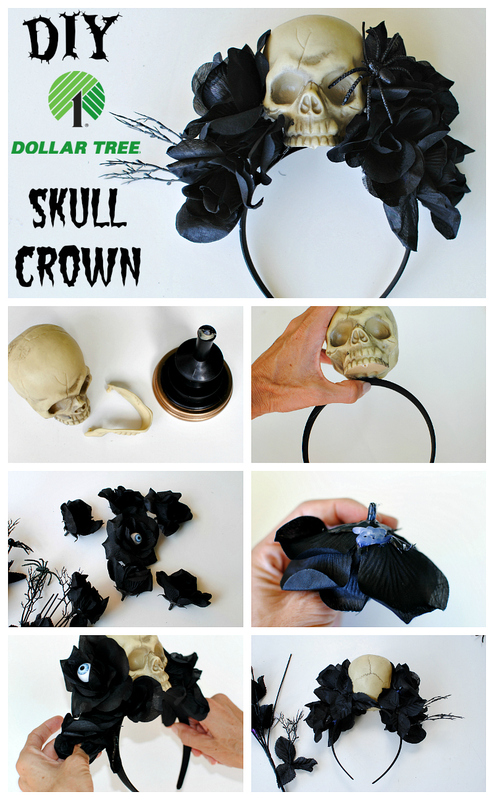 I wanted to incorporate their spooky black bouquets into a crown. 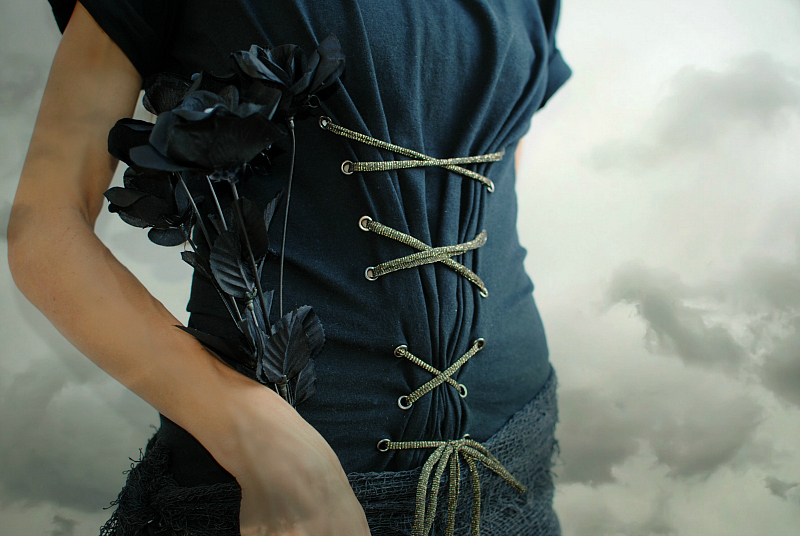 My goal was to design something that had a fashion-forward, couture look to it. 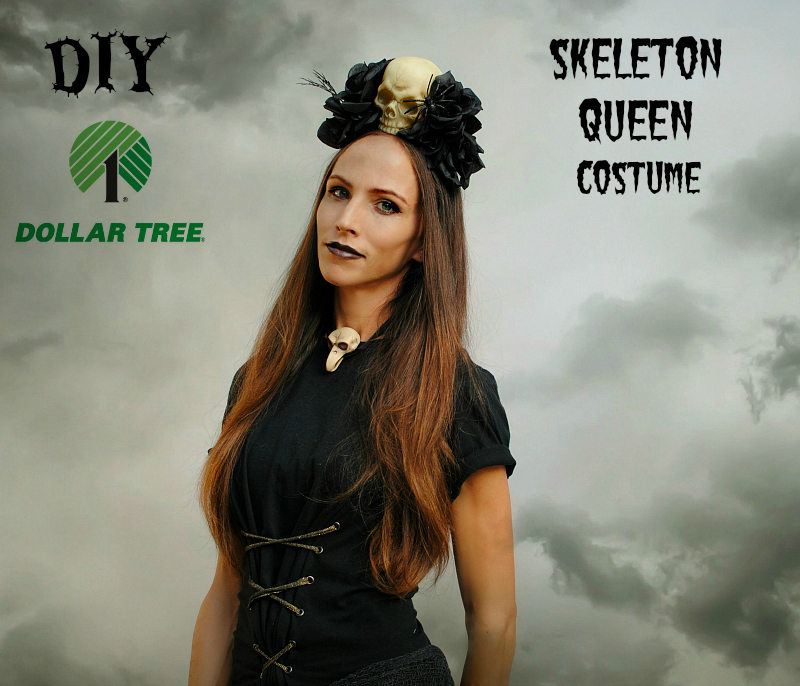 The first costume for “A Dollar Tree Halloween Series” is The Skeleton Queen and it’s only 6 items! Yes, this was a 6$ costume. Get the details below and make your own. Supplies: (They're out of the creepy cloth and Skull on Stand online but go to your local Dollar Tree to snag some before it's too late). 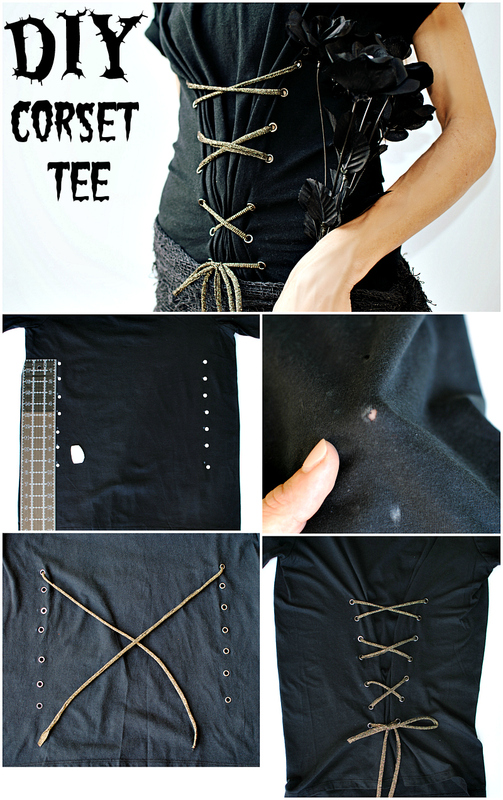 Use a ruler and a crayon and mark 7 dots down the shirt. Depending on how big your shirt is you will want to adjust your placement. My dots were 1.5" apart, 3" from the side, and 3" down from the underarm. Cut extremely tiny holes because knit stretches. Think the size of a lady bug or smaller. Use a roll of ribbon and lace in at out of the holes and tie at the bottom. Remove the skull from the trophy and the jaw. Use a generous amount of hot glue and place it on the headband. Hold for 1 minute or so till it has dried into place. Remove the flowers from the stems. They simply pull right off. Hot glue a dab onto the bottom stem. I wanted the flowers to lay facing out so be mindful of how you glue them. Place the flowers along the headband and hold into place till dry. Repeat till you get your desired fullness. For the back I glued some of the left over leaves to hide any stems and openings. Use some of the extra spiders and stems from the flowers to add if you'd like. 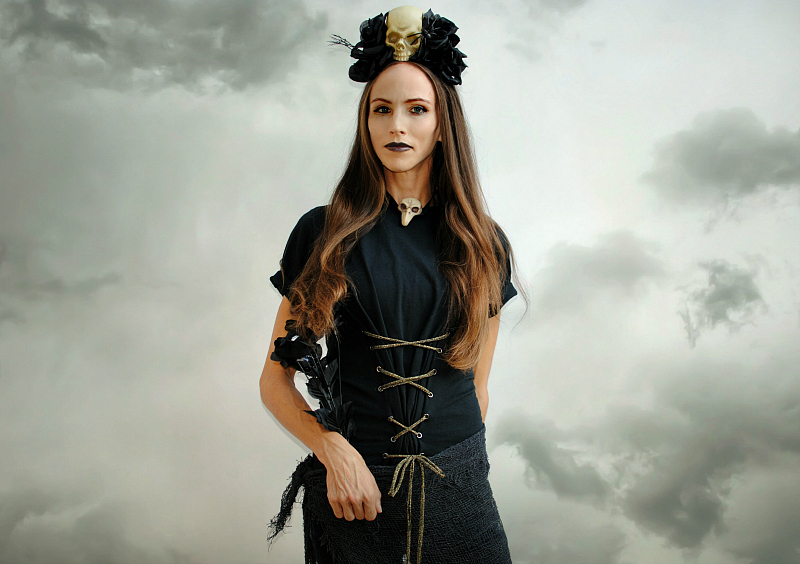 The creepy cloth was simply tied around the waist to wear as a skirt. For additional effects try their black lipstick and liquid eyeliner. 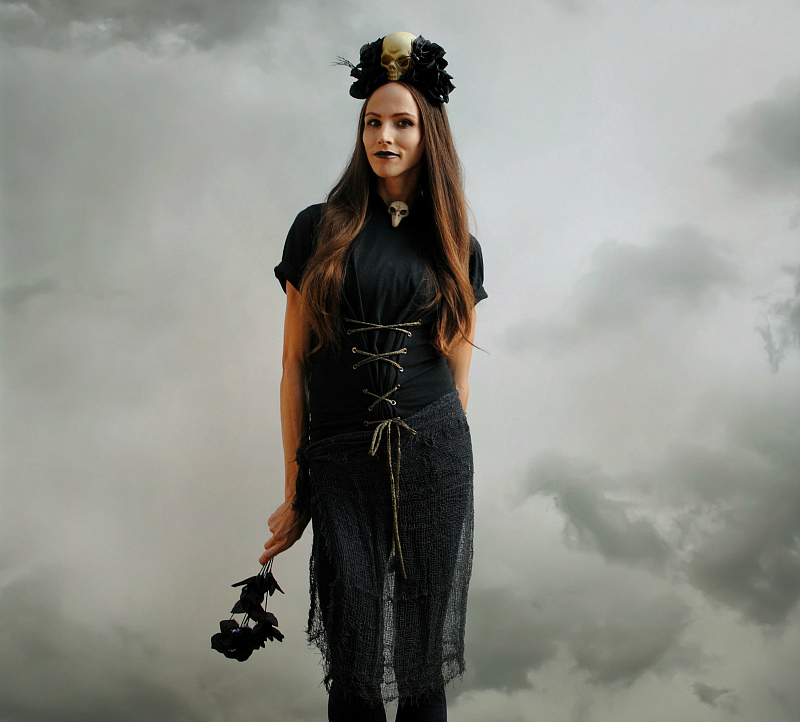 Use the leftover ribbon to create a choker and hot glue some of the extra tidbits from the spooky bouquet. Can't wait to share what we came up with next. 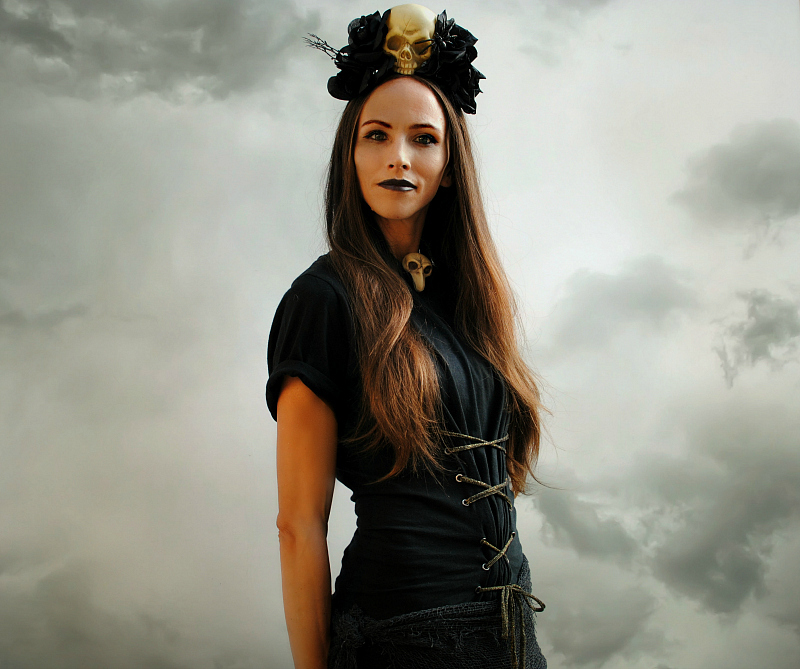 Follow along on our series and comment below on what you want to make for Halloween. I am really for the great picture of this comment. You should have good imagination to create such things. I am sure that info from this source will help you to develop your children's skills. I'm absolutely enamored with this sewing machine. I would truly acknowledge if you somehow happened to disclose to us where and how we can get it. I'm anxiously holding up to get notification from you soon. On the occasion of the carnival that has this set is what is equal. The Halloween costume is unique and beautiful. Google Feud Answers are pulled from the Google Autocomplete API. The game has won the People’s voice WEBBY AWARD for the family games in the year 2016.